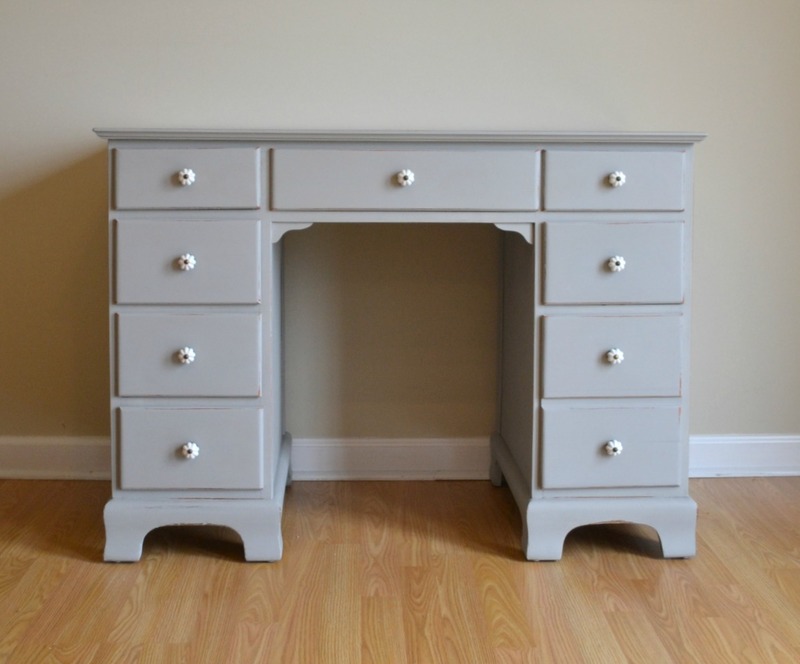 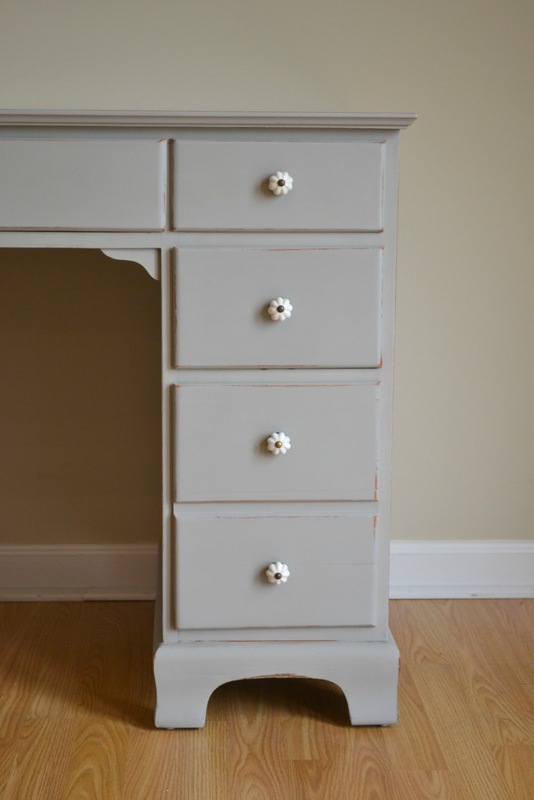 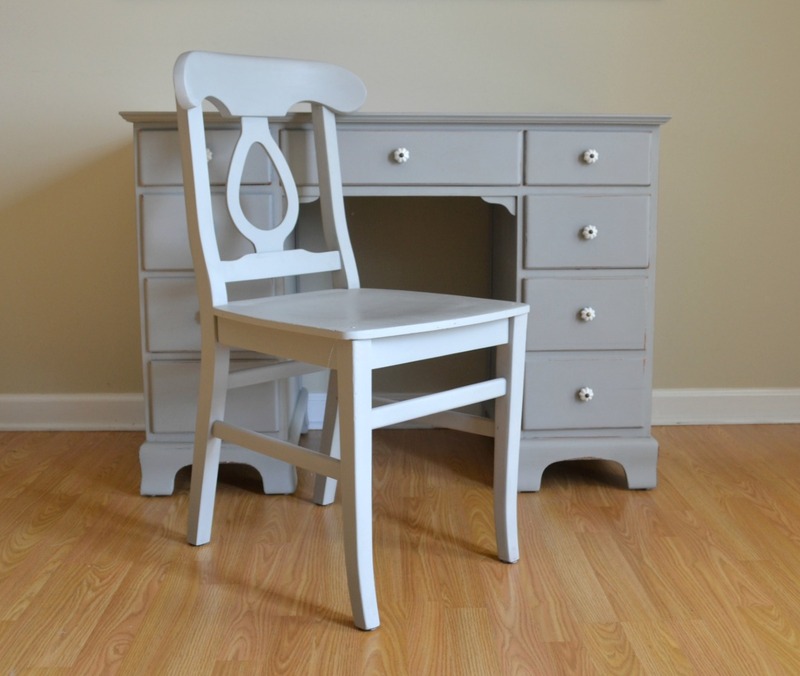 Desk and chair set painted in a mix of Annie Sloan Paris Gray & French Linen. 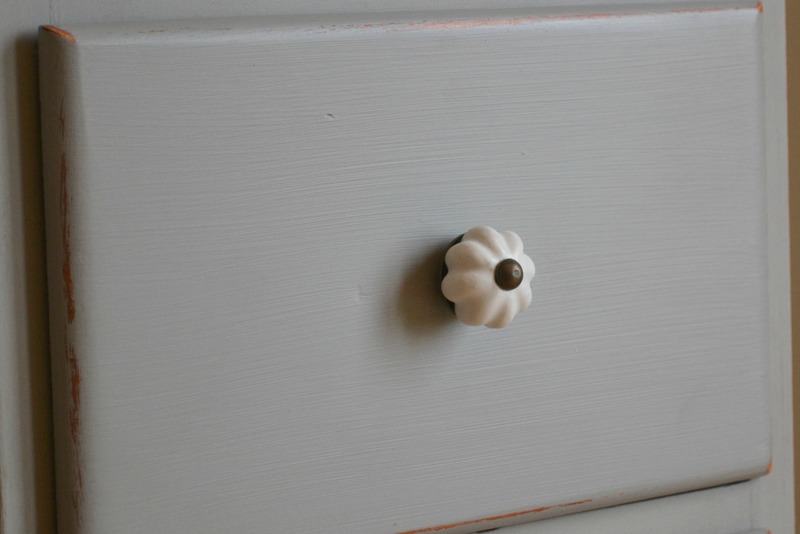 Stunning porcelain knobs. 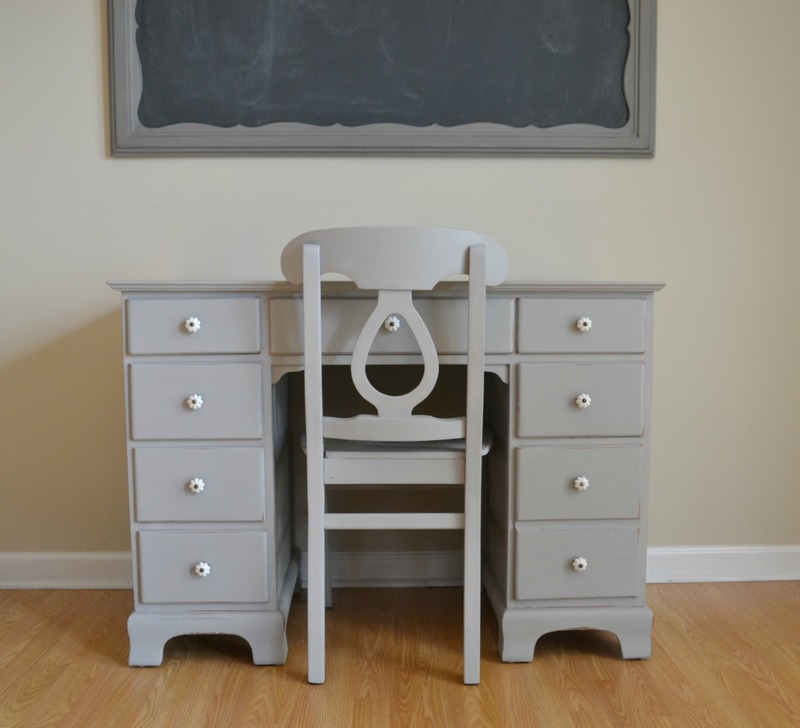 This desk is slightly deeper than others. 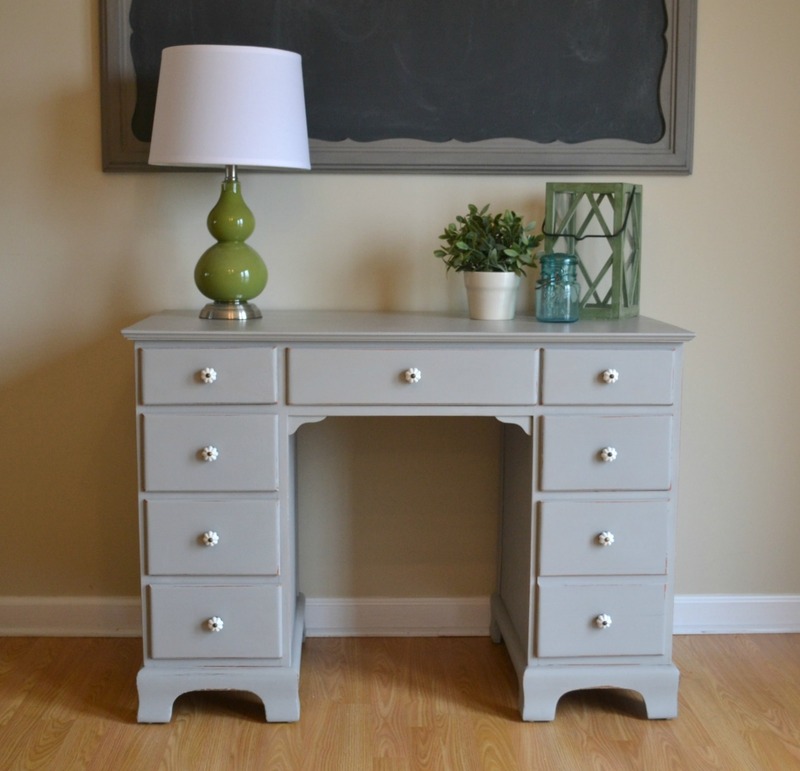 The back of the desk has been painted as well, so you are not just limited to placing it against a wall.